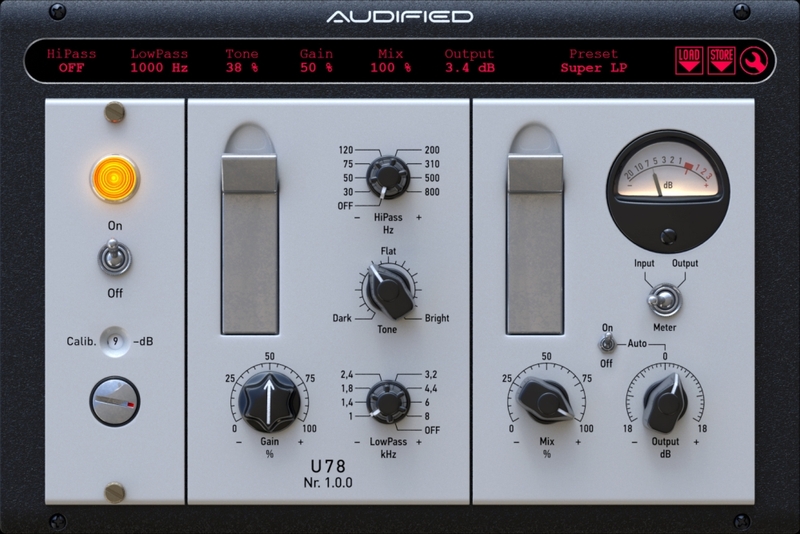 U78 Saturator by Audified is a Virtual Effect Audio Plugin. It functions as a VST Plugin, an Audio Units Plugin, a VST 3 Plugin and an AAX Plugin. 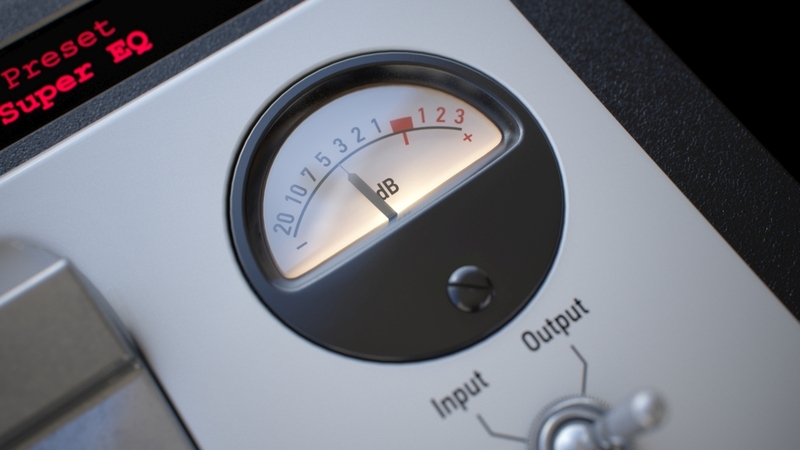 This Valve saturating plug-in is based on the circuitry of the famous U73b Compressor. 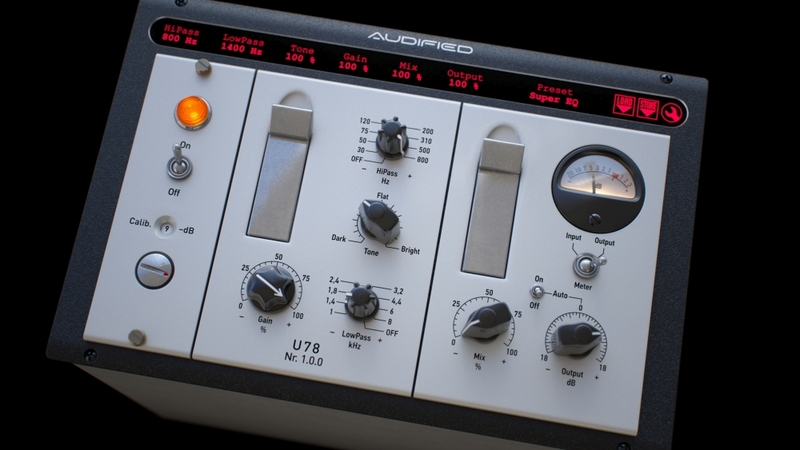 The exact model of the vintage device is combined with demands of audio producers. 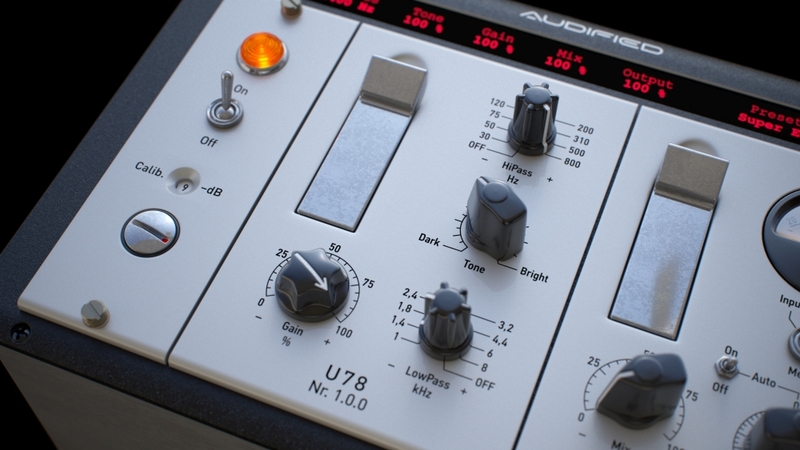 Audified took the exact model of the U73b and tweaked its function to create the Saturator that sounds like no other. They removed the U73b compression function. Added filters, the tone control and finally added the strong gain control. The plug-in is mainly intended to be used on bass, drums and vocals, but creativity knows no boundaries. Gain – adjusts the input gain of the saturation circuit. The higher settings the more rich sound can be achieved. HiPass – sets the cutoff frequency of the HiPass filter which is connected in front of the saturation circuit. 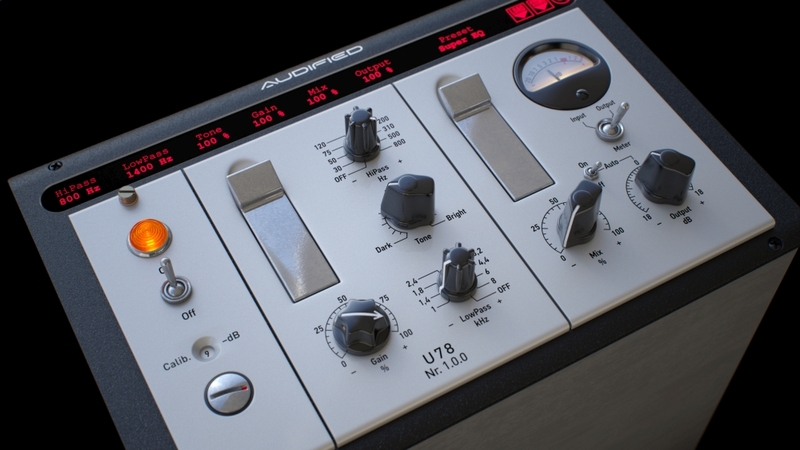 The range is from 30 Hz to 800 Hz, turn the knob to the minimum to turn off the HiPass filter. LowPass – sets the cutoff frequency of the LowPass filter which is connected in front of the saturation circuit. 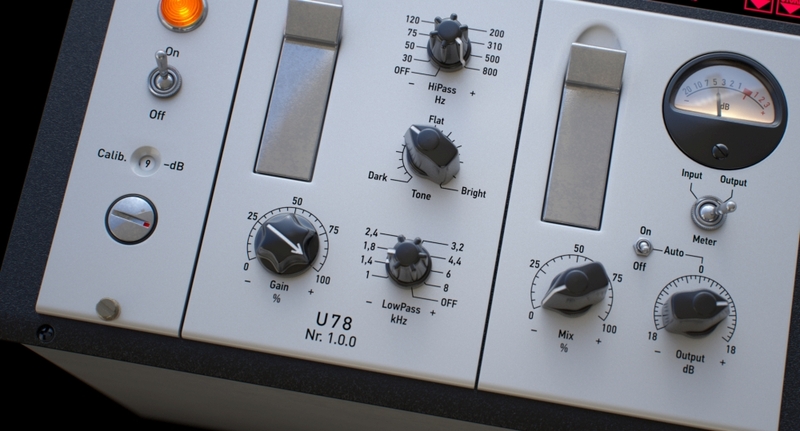 The range is from 1 kHz to 8 kHz, turn the knob to the maximum to turn off the LowPass filter. Tone – controls the U78 unique tone filter. Low settings produces dark sound with higher low frequencies content. On the contrary, higher settings are for bright and sparkling sounds. 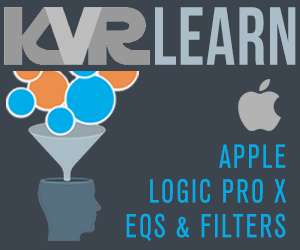 Mix – controls the dry and wet signal ratio. The dry signal is only delayed to match the wet signal path latency to prevent the phasing effect.